The High Museum of Art, located at 1280 Peachtree Street NE, a division of the Woodruff Arts Center, is the is the leading art museum in the Southeast with more than 11,000 works of art in its permanent collection. The Museum was founded in 1905 as the Atlanta Art Association. In 1926, the High family, for whom the museum is named, donated their family home on Peachtree Street to house the collection following a series of exhibitions involving the Grand Central Art Galleries organized by Atlanta collector J. J. Haverty. 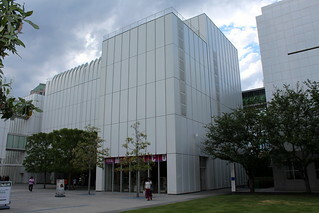 In 1983, the Richard Meier designed 135,000-square-foot building, now known as the Stent Family Wing, was opened. In 2002, three new buildings designed by Renzo Piano more than doubled the Museum's size to 312,000 square feet.